An epic musical/comedy/drama featuring the music of St. Vincent, Caravan Palace, and surprises. "American Euphoria" is a story about rival gangsters gathering at a swank speakeasy in 1920s Chicago. Picture the intrigue of “Casablanca” featuring the glamorous decadence of a Gatsby party with a splash of “Bugsy Malone” and you have the story and tone palette we’re going for. Criminal interests and corrupt politicians/police gather at the Green Mill Lounge to broker power and cash with amusing and surprising results. 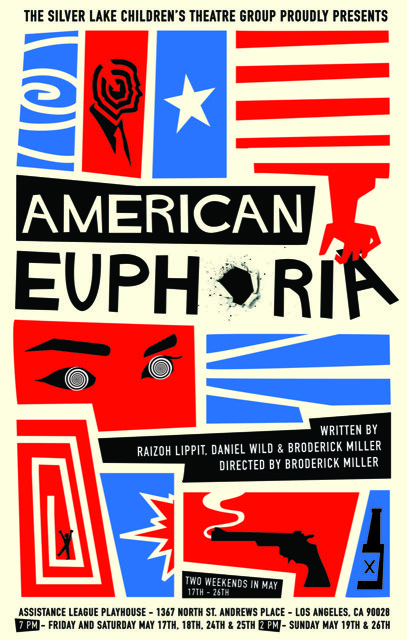 "American Euphoria" is written by SCTG students Raizoh Lippit and Daniel Wild.